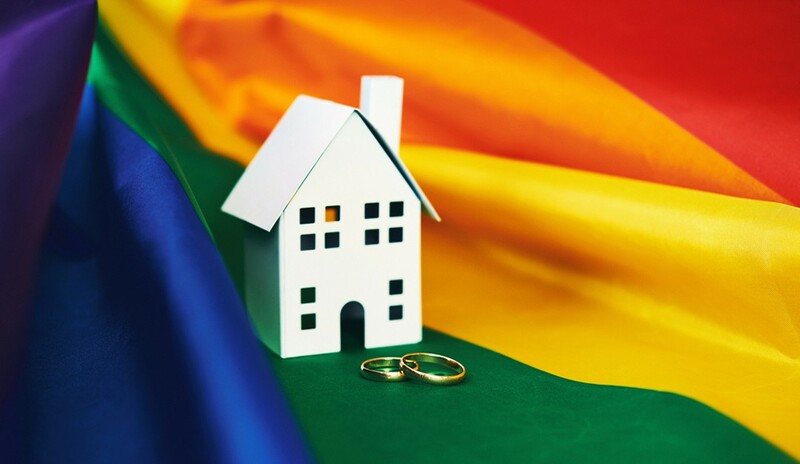 The LGBT community is largely holding back from homeownership, according to a recent survey conducted by Freddie Mac in collaboration with Community Marketing and Insights, which polled 2,313 LGBT community members in the U.S. aged 22-72. In fact, compared to the national average of 64.3 percent, only 40 percent of LGBT households are likely to own a home. Within the LGBT community, gay men and lesbians are the most likely to own (52 percent), while LGBT African Americans and millennials are the least likely homeowners (30 percent and 23 percent, respectively). John Graff, broker and CEO of Ashby & Graff Real Estate, and policy committee chair with the National Association of Gay & Lesbian Real Estate Professionals (NAGLREP), says it’s a tale of two cities when it comes to members of the LGBT community and their involvement in real estate. What Obstacles Are Standing in the Way? A top concern, fear of discrimination remains a rampant challenge in the homeownership space for members of the LGBT community. Despite positive LGBT-member sentiment in relation to homeownership—72 percent of renters stated they’d like to own a home in the future and three-quarters of LGBT renters believe that homeownership is a good financial investment—the priority remains feeling safe by living in LGBT-friendly neighborhoods. Nearly half of LGBT renters (46 percent) fear discrimination during the home-buying process. The top must-haves for these consumers? While home price and safety rank the highest, an LGBT-friendly neighborhood drops in as the No. 3 priority. In addition, LGBT members may be more fluid in their living habits, relocating more frequently than other segments of the population. The survey found that 67 percent of respondents do not want to live in the same area they grew up in, a rate that is above the national average. Lastly, affordability and the complexities of down payment-related costs play a role. Seven in 10 LGBT renters said saving for a down payment is a challenge. And much like the overall population, LGBT renters are not aware of low-down payment options, believing that the required deposit goes above the 20 percent mark. Could a stronger emphasis on education help fill this gap and inform LGBT buyers of the home-buying resources available to them? Jeff Berger, founder of NAGLREP, believes so. Berger adds that two Congressional bills—H.R. 1477 and the Equality Act—would help provide federal protections against discrimination based on sexual orientation and gender identity.